Elinor Rothero: I'll be back soon! 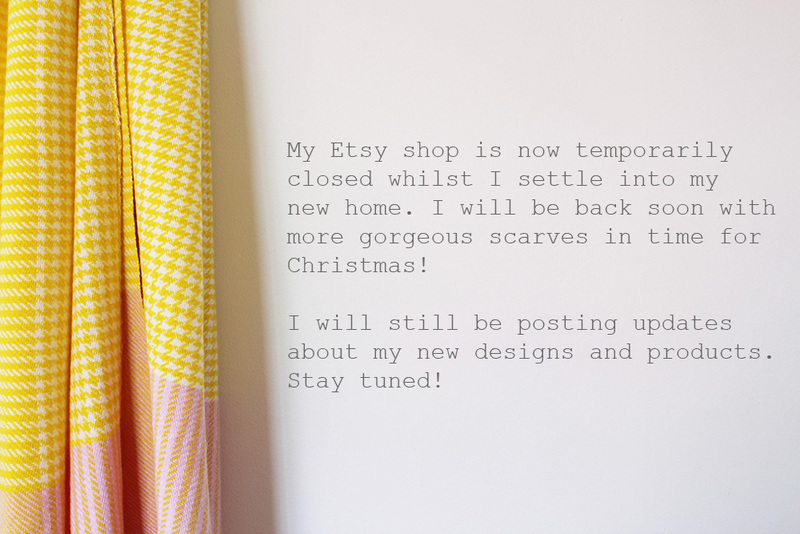 I am moving away to start a bright and shiny new job and have closed my Etsy shop whilst I settle in to my new life and put my studio back together. 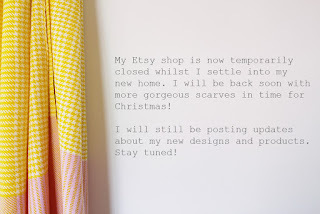 I am planning to come back with lots of delicious new hand woven scarves in time for Christmas! I will still be posting updates about my new designs and products so stay tuned!